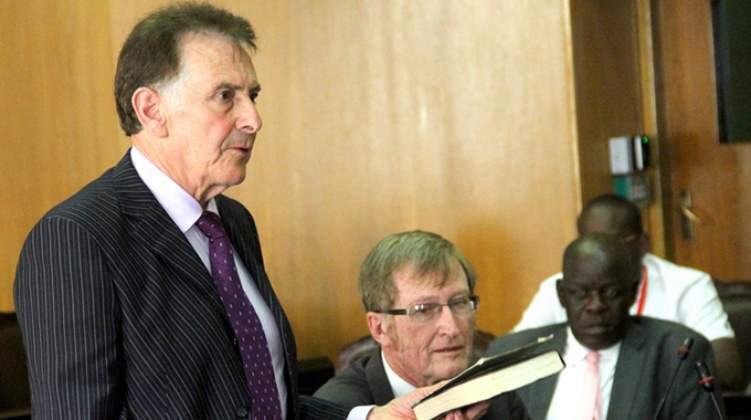 British businessman Nicholas van Hoogstraten, says he is going to challenge the reconstruction of Hwange Colliery Company Limited (HCCL). Van Hoogstraten holds a 31 percent shareholding in HCCL. In October, Government placed Hwange Colliery Company Limited under reconstruction. Government has a 42 percent stake in the coal miner and in terms of the Reconstruction of State-Indebted Insolvent Companies Act, the responsible minister has powers to issue a reconstruction order if it appears to him that by reason of fraud or mismanagement, a State-indebted company is unlikely to be able to make any repayment of a credit made to it from public funds. "We have been advised by our lawyers, and initially we will put in an objection to this reconstruction, which is something new to me. So we need to put in a formal objection . . . that's in the short-term," said Mr Van Hoogstraten. "Medium-term, I suppose the interested parties need to sit around the table and sort something out. That can't include anybody that's tainted or corrupt or that has any previous history with Hwange. The situation at Hwange has gone from bad to worse and that has escalated over the past three years." The placement of Hwange under reconstruction in terms of the Reconstruction of State Indebted Companies and Insolvency Act is subject to a review by the High Court within 30 days and any affected stakeholder has an opportunity to make representations before a judge. HCCL, which has been affected by corporate governance issues, is said to be insolvent and owing Government in excess of $150 million. In addition to the $150 million debt to Government, HCCL has largely been operating in the red. The company's 2018 half-year financials reflect a net loss of $23 million. The coal producer, which was suspended on the Zimbabwe Stock Exchange (ZSE) with effect from November 2, 3018, is also listed on the London Stock Exchange (LSE) and the Johannesburg Stock Exchange (JSE). In terms of the reconstruction, DBF Capital co-founder, Bekithemba Moyo was appointed the chief administrator and is assisted by commercial lawyer, Mutsa Remba and Great Dyke Investments chief operating officer Munashe Shava. HCCL is the oldest and largest coal mining company in the country, but of late has been facing operational challenges, corruption allegations and mismanagement among others.